I believe the reason why people stay guarded is the fear of being hurt again. Sometimes I feel that I’ve found away past all the drama and the heartbreak- stay closed up. Put all that is important to me in a fire-proof and water-proof safe, bolted to the center of my heart- where no one can get to it. “There is no safe investment. 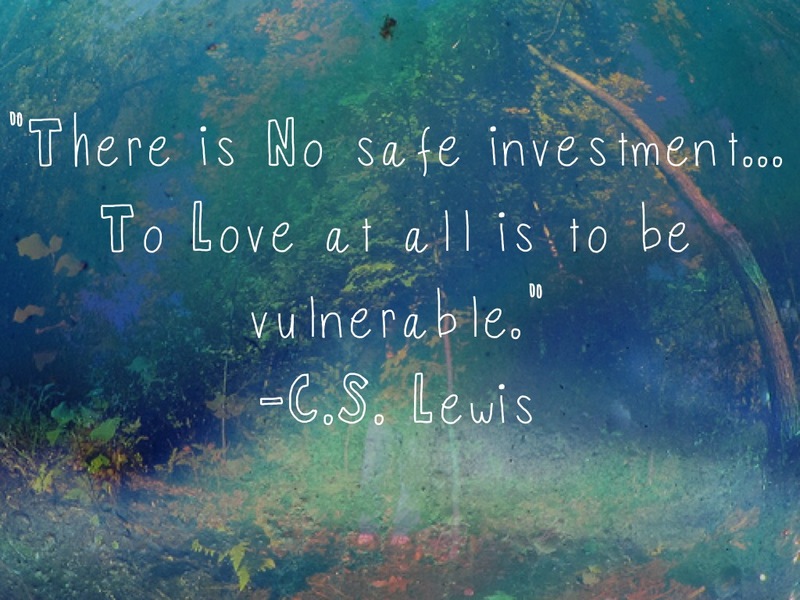 To love at all is to be vulnerable. Wrap it carefully round with hobbies and little luxuries; avoid all entanglements;lock it up safe in the casket or coffin of your selfishness. But in that casket – safe, dark, motionless, airless – it will change. to love at all is to be vulnerable… is one of my favorite quotes. It’s because I need to be reminded of it constantly. Was not Jesus completely and utterly vulnerable as He hung upon the cross to bear my sins? Rejected by most of society. But He radically changes the lives of those who choose to live in the light of His sacrifice. are the places and spaces where He chooses to work? That’s where awesome things happen! But how will I ever get there if I am too busy guarding my heart from rejection?